Old Pulteney has overhauled its travel retail whisky range, with a renewed focus on age statements and redesigned packaging. 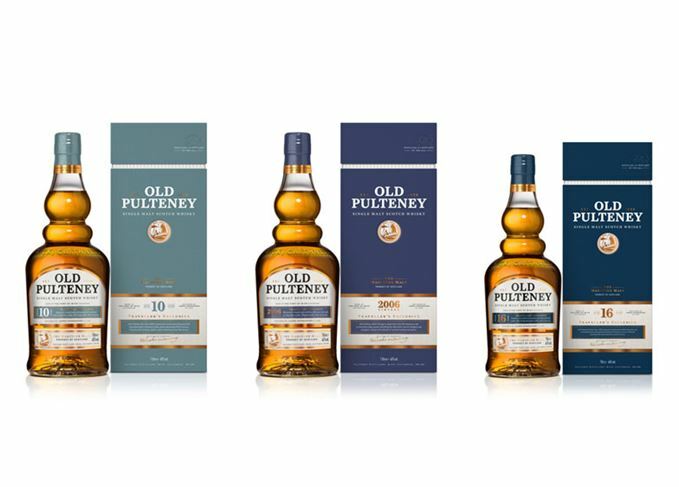 Old Pulteney’s new line-up includes a 10-year-old single malt, a 2006 vintage and a 16-year-old, with new packaging designed ‘to evoke a contemporary and modern appeal’. According to the distillery, located in Wick in the far north of the Highlands, each of the three new expressions ‘brings new flavours to the fore’. Old Pulteney 16 Year Old: Matured in American oak ex-Bourbon barrels and finished in Spanish oak casks previously used for oloroso Sherry, non-chill-filtered with natural colour, 46% abv and £80 for a 70cl bottle. The introduction of the new range comes after Old Pulteney revamped its core single malt line-up earlier this year, following the withdrawal of its 17-year-old and 21-year-old expressions.